Anyone who still thinks that Bucharest is a city of concrete and cement has clearly never been to the city’s lung, the incomparable Herastrau Park. Quite simply, this glorious park, spread over 187 hectares around Herastrau lake is one of the jewels in Bucharest’s crown, which might explain why half of the city chooses to spend its summer Sunday afternoons here. Fear not though, for so big is Herastrau that it never gives the impression of being crowded, and even on the busiest of days you will always be able to find a quiet, shady corner somewhere. If you look hard enough. Herastrau was laid out from 1930-36 on what had until then been mainly marshland around the (natural) lake. The Village Museum - which occupies a large part of Herastrau and which is one of its most popular attractions was created at the same time. As early as the late 19th century, however, parts of the lakeshore served as a promenade for Bucharest’s wealthy, and the area surrounding the lake had long since become the most fashionable in the city. Indeed, the residence of Romania’s royal family, the Elisabeta Palace, is found inside Herastrau (although it is closed to the public). When first opened the park carried the name of its patron, King Carol II. For a short time in the aftermath of the second world war and the declaration of the People’s republic of Romania in 1948 it was unfortunate to have the name Parcul I.V. Stalin. 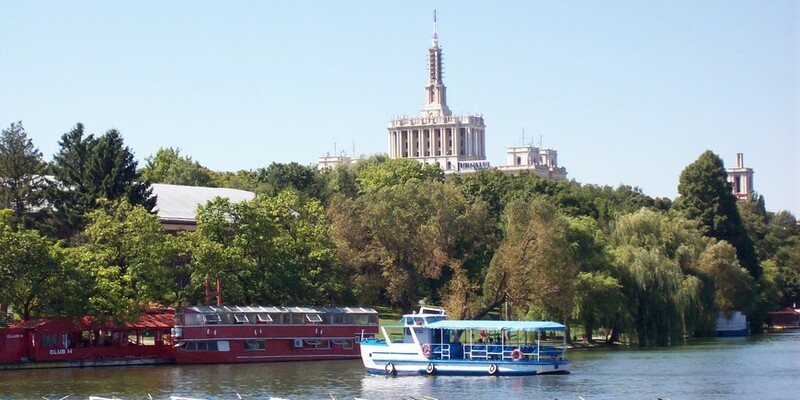 The name Herastrau has been in general use since the early 1960s. Herastrau was long neglected in the wake of the Romanian revolution of 1989, as the priorities of a country in transition lie elsewhere. In recent times however, the park has enjoyed much investment and has for a couple of years now once again been able to claim the title of the city’s best. 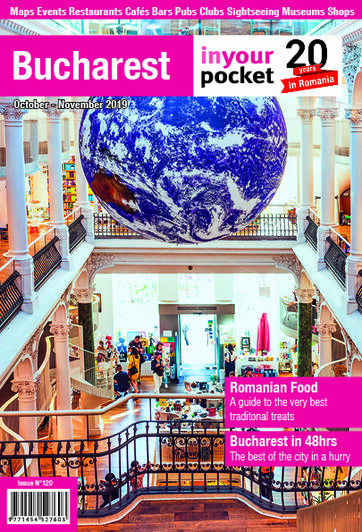 There is a ton to do in Herastrau, far more than most people - including locals - realise. The park has two main entrances, although by far the most elegant is that which borders Piata Charles de Gaulle. It is also conveniently located close to Aviatorilor metro station. The other entrance, at the far end of Soseaua Kisellef, opposite Casa Scanteii, is better for those coming by car as there is some (but not a lot) of parking available. The first thing you will see when entering the park from Piata Charles de Gaulle is a tall, bronze, rather bizarre statue of de Gaulle himself. Unveiled in 2006 the statue is the work of local artist Mircea Corneliu Spataru, and was commissioned by the Ministry of Culture to commemorate Bucharest’s hosting that year of the Francophonie conference. A Romanian newspaper, Adevarul, named it the third ugliest statue in the city in 2010. Still, it could be worse: between 1952 and 1961 a statue of Stalin stood on the same spot. Charles de Gaulle is not the only historic figure honoured in this part of the park with a statue or bust, however. In fact, the alleyways and paths which fan out from the entrance are all dotted with famous people, from Romanian revolutionary Nicolae Balcescu to Bengali literature’s most important figure, Rabindranath Tagore. Look out also for local artists Nicolae Grigorescu, Constantin Brancusi and Theodor Aman, as well as writers George Cosbuc, Alexandru Vlahuta and Romania’s national poet, Mihai Eminescu. Other foreigners honoured with statues include William Shakespeare, Ady Endre, Sandor Petofi and Victor Hugo. There is even a statue of Prince Charming (Fat Frumos). We have long suggested that the park should publish a map of all its statues so that visitors can tick off those they see as they go around. Oh, and there’s a memorial to Michael Jackson too. Yes, really. There is an adventure park in Herastrau, open 10:00-20:00, featuring four trails of varying difficulty, none of which are particularly challenging. One is reserved for kids aged between four and seven the others are for children aged eight and above. Two hour tickets (long enough to complete all the trails) cost 35 lei for children. The park’s open-air Teatrul de Vara (summer theatre) was recently renovated after years of neglect and now hosts performances put on by a number of Bucharest theatre companies (in season). Almost all of these are in Romanian, however, and probably not of interest to visitors. Look out however for art exhibitions which get put on in the many small pavilions which dot the park. There are boat trips on the lake during summer, as well as a shuttle that links one side to the other. Boat trips depart from the jetty (debarcader) behind the Hard Rock Cafe. To get there from the main entrance you need to cross what is known as the Insula Trandafirilor (Island of the Roses). At the right time of year the paths are quite literally lined with roses and it’s one of the most gorgeous sights in Bucharest. Look out too for the exotic birds kept on the island. You are allowed to fish in the lake (stocked with carp) but the price is phenomenally expensive (50 lei) and most fishermen know that there are far better places around the city to fish than here. Cyclists and joggers should note that the path which circumnavigates the lake is just under 6km in length. Swimming in the lake is strictly forbidden, although you will often see local kids taking a dip. During the summer you can rent bikes from I'Velo, close to the entrance. Rental costs 5 lei per hour, or 20 lei for a full day. Under-16s and over-65s can rent bikes for free, but for a maximum of two hours. There is also a small adventure park suitable for kids. There are plenty of places to eat and drink in the park. On the western side of the lake the best place to go is the Hard Rock Cafe, while in the other side (on Soseaua Nordului) there is a whole string of excellent, of upmarket and rather expensive restaurants: Casa di David and Isoletta are the best. A slightly cheaper option is the less ritzy but no less good seafood restaurant Pescarus, one of the most historic eateries in the park, recently renovated and vasty improved by the team behind City Grill and Caru' cu Bere. Outdoor theatre in Herastrau park. It's strange to see the locals of all ages and from different backgrounds dropping their garbage in the park. Don't these people have any shame? It was beautiful and we enjoyed a lengthy walk thru it. Definitely a spot not to miss.